The Chinese zodiac is seen as a preface on your personality, future prospects and relationship success. Tempted to call hogwash? You might like to know Jack Ma was a particularly adorable Dragon baby. Even in modern China, culturally evolving as fast as megabits are speeding across the internet, the zodiac combined with the principles of yin and yang and the five elements, asserts a remarkable influence over people’s decisions and beliefs. Because even if a couple considers offhand which zodiac their child should be for maximum obedience and filial piety, their choices cause actual fluctuation in consumer demand. 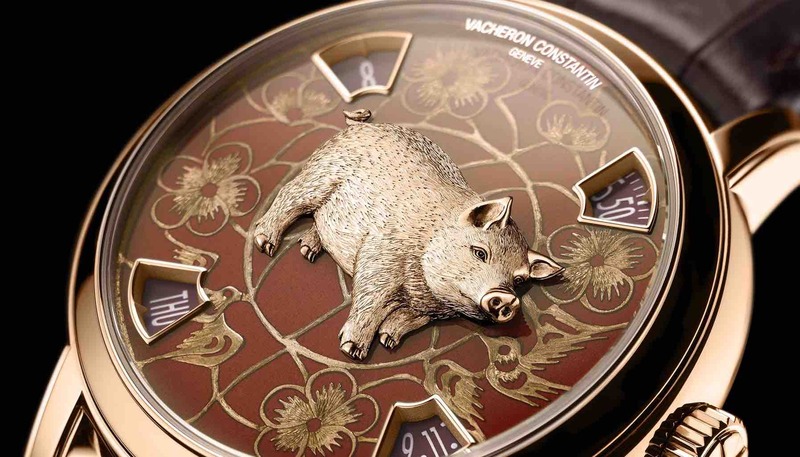 Consider then these six offerings from haute horology, depicting one of nature’s most intelligent animals and a traditionally affable member of the 12, the delectable pig. In plebeian speak, Métiers d’Art converts to “artistic workmanship”. 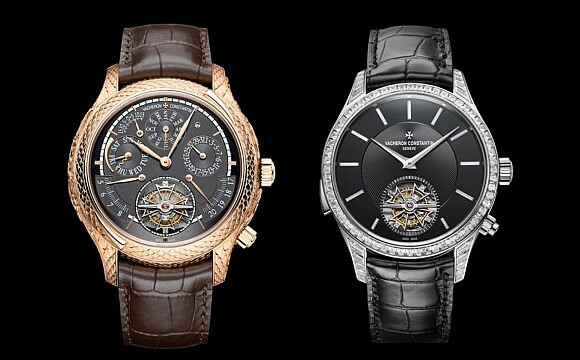 Precisely why this range stands apart from the rest of the Vacheron Constantin family. On its 18-carat gold dial, the pattern is etched directly into the metal with accents for a sense of depth. Then successive layers of Grand Feu enamelling is applied and kiln-fired one coat after another. 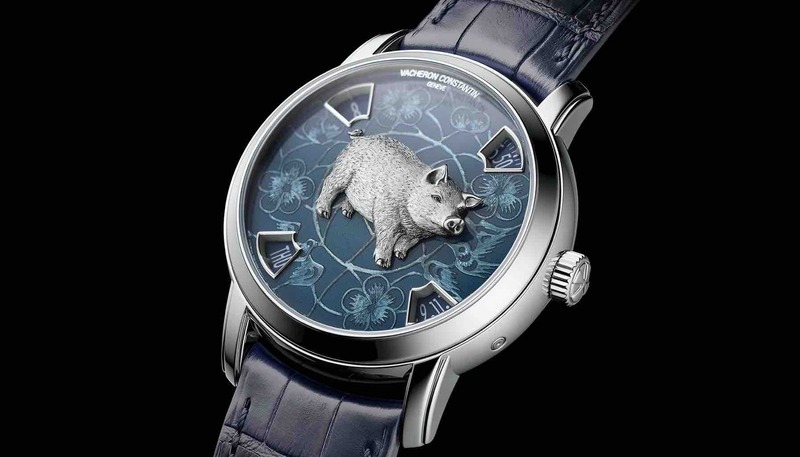 Finally, a porcine image in platinum or pink gold is laid on the centre. 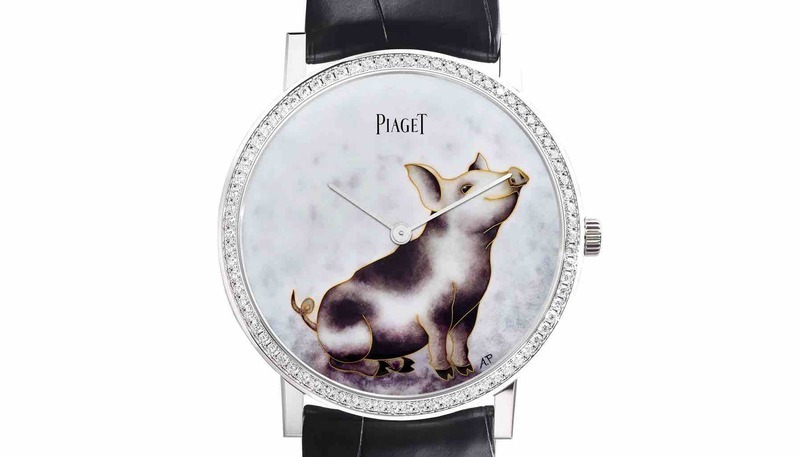 The ultra-thin Altiplano – a hand wound in-house specialty – arrives in the pig zodiac adored with white gold and diamonds. 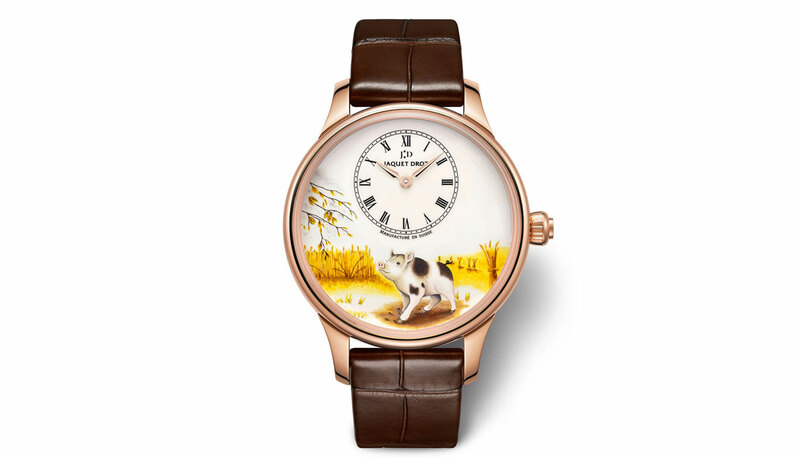 Crafted in cloisonné enamel by artist Anita Porchet, this watch is limited to 38 individually numbered pieces. Cloisonné technique requires individual partitions be made with golf thread before being filled with enamel pigments. 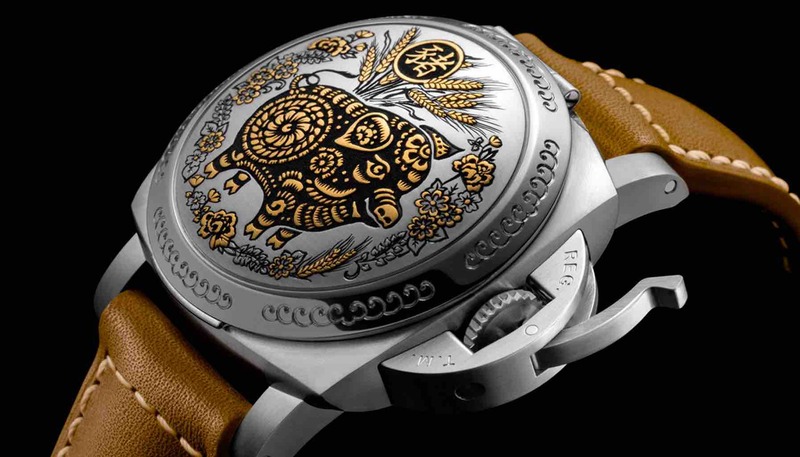 Panerai’s eleventh Chinese zodiac model since 2009, sees each of the 88 pieces treated to the ancient engraving technique of “sparsello”. Grooves are first made in steel before gold thread is inlaid in multiple layers. Master craftsmen then very delicately beat the gold to smoothen it out. 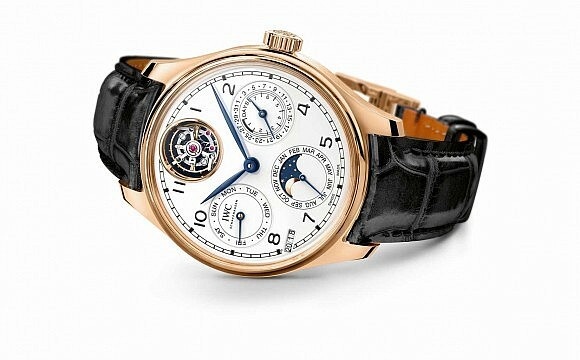 The engraved cover unveils a grey dial with a small-second dial at nine o’clock and the date at three o’clock. America’s “King of Diamonds” offers up a luxurious piece in mother-of-pearl marquetry ringed with dazzling stones. 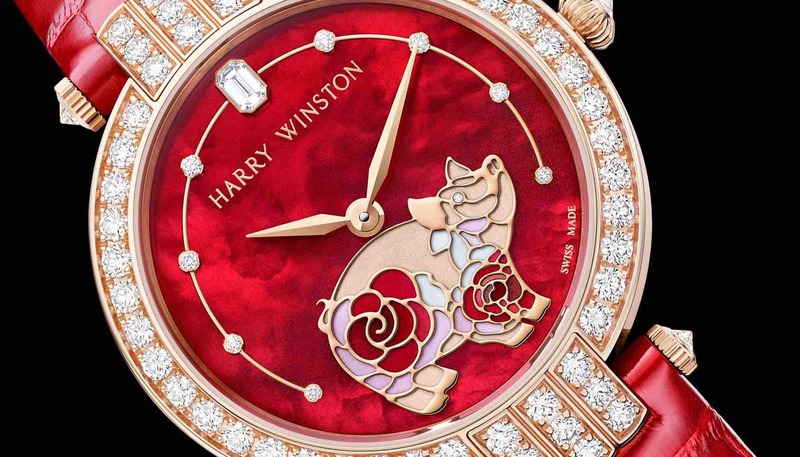 This watch’s symbolic cues include the bright red dial representing good luck and happiness, while magnolia flowers on the pig’s body allude to female beauty and grace. Not forgetting the large emerald-cut diamond at 12 o’clock as a nod to Mr Winston’s favourite cut. Crafted by the steadiest of engravers and painters using Urushi tree sap, this unique varnish is only harvested once a year. Taking several years to mature before it can be applied, each of the 88 pieces were overseen by Master Kiichiro Masamura, a designated Living National Treasure in Japan. In addition, Chopard assures all patrons that its gold is ethically sourced, in keeping with a commitment since July 2018. The final animal in the 12-year cycle, those born in the year of the pig are said to be generous and very sociable. 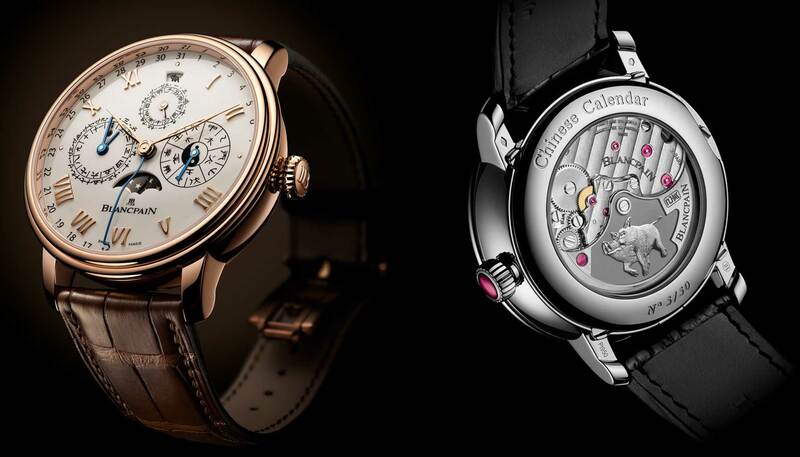 Hence this release from Jaquet Droz in both His (39mm) and Hers (35mm) timepieces. 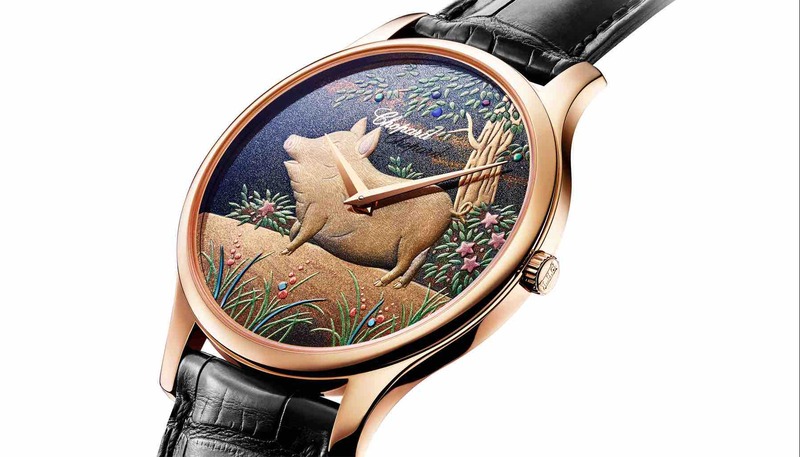 This enamel painting of a pig in a bountiful wheat field is limited to 28 pieces worldwide. With impressive technical prowess, Blancpain has combined the Gregorian calendar (based on the solar day), with the lunisolar Chinese calendar (based on the lunar cycle). 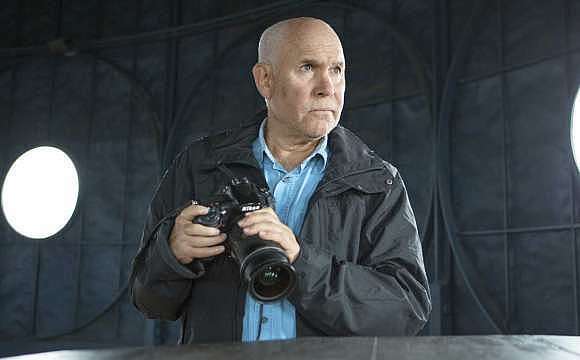 So to counter a year of 12 lunar months being 11 days shorter than a solar year, a leap month is added to the Chinese calendar every two to three years.